A pair of design students used paint to visualize social media sentiment. 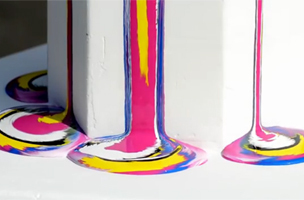 A pair of design students in Oslo have made a installation that pairs social media sentiment analysis with oozing paint. The project, called “Monolitt,” was created by Syver Lauritzsen and Eirik Haugen Murvoll of the Oslo School of Architecture and Design. It dispenses certain colors to correspond with emotions expressed in tweets — black is for annoyance, while pink is for happiness. “As the paint drips down the monument, it effectively becomes a record of how the city feels, a document in which one might be to discern periods of calm or agitation, not unlike a tree’s rings,” writes Wired. 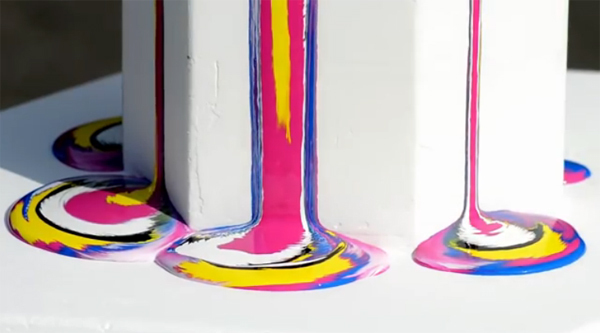 The duo experimented with various ways of using paint to visualize social media. “In an ideal world we would like it to be three or four times larger,” Lauritzsen told Wired.